David has more than 30 years senior experience in the development and implementation of communications programmes starting his career on West Midlands newspapers before entering the world of PR, communications and reputation management. He established his own company in 1986. Today, Clarke Associates advises some of the Midlands leading organisations. David has a wide range of contacts in part because he is an enthusiast for the region. He is past-chairman of business lobby group Birmingham Forward, a former trustee of Birmingham Settlement and past-chairman of the Birmingham Business Breakfast Club. He has been a director of Marketing Birmingham and is a past chairman of The Birmingham Civic Society. He is immediate Past President of Birmingham & Edgbaston Debating Society and serves on the Council of Birmingham Chamber of Commerce. 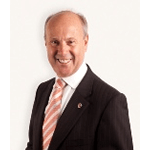 He is also a Warden (non-executive director) of The Birmingham Assay Office and Chairman and non-executive director (pro-bono) of Miss Macaroon CIC – a social enterprise company supporting marginalised young people.